On last weeks Google Hangout we talked a little bit about a couple of my hobbies, music and guitar. So I thought I would talk about it a bit. I want to reflect on how my appreciation of music led me to being able to write and play my own music. I have always loved music. When I was a little kid, I couldn’t get enough of Kiss. Obviously a lot of the appeal was the theatrics, but that didn’t mean that the music didn’t speak to me on a fundamental level. And it wasn’t just Kiss. My other favorite band from that time was ABBA. So yeah, I guess, diametrically opposed on the genre scale. What listening to and loving these bands did for me was awaken my young brain up to the possibilities of what could be created with voices and musical instruments. I remember walking to the bus stop when I was around 10 and humming the entire guitar solo. At the time, I didn’t know what it entailed, but I knew I wanted to be able to make music like that. I started taking guitar lessons around that same time. It was on an acoustic guitar with a little old man who taught classical guitar. I hated it. It wasn’t the kind of music I wanted to play, so I quit. Skipping ahead almost a decade later, I got my first electric guitar on my 17th or 18th birthday. It was a Peavey that came with a hard case that had a practice amp built into it. It wasn’t the greatest, but it was mine and I was ecstatic to get it. I played it on and off for the next 2 or 3 years. And. I. Sucked. I wasn’t a virtuoso nor did I seem to have any talent for it at all. After Alice In Chains released their acoustic EP Sap, I was determined to really learn to play guitar. I borrowed my aunt’s acoustic guitar and all of her beginning guitar learning materials and sat down to force myself to learn. It took a night to learn how to read the music … poorly. And to this day I really can’t read music. 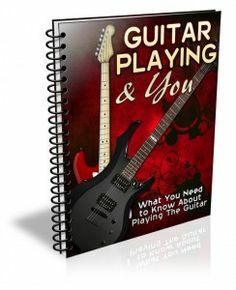 But this taught me what the standard tuning of the guitar was and how to find notes on the strings. By the time Alice In Chains released their Unplugged album, I had gotten to the point where I could figure out how to play the songs by ear to some degree and fill in the rest with guitar tablature. (A way of noting finger positions for the notes rather than the notes themselves.) I was very proud of myself for being able to actually play these songs all the way through. At least most of them. This time in my guitar playing career unlocked an ability that must have been there from the beginning. I began being able to write my own music. At first, just a riff here or there, and then I started stringing parts together to create full compositions. And eventually I was able to learn to write lyrics and sing over some of these pieces. So full fledged songs became a thing then. They weren’t the greatest but they weren’t bad either. Now, with today’s technology, it has become incredibly affordable and easy to record music on your own. And that’s where I am now. Writing and recording things I never thought I would be able to write or record. Will I ever write a break through album and become a rock star? Most likely not. But that has never been the point. I guess where I’m going with this is, if you love a thing, and keep working at it over time, that eventually you will gain some degree of proficiency at it. Eventually you’ll look up and realize you’re somewhere you never thought you would be with your passion. You may never become an expert, but the journey in itself is the reward. In the future, I plan to write more about making music and my process for doing so. Do you have a passion in life that you got further in than you ever expected? Do you have any questions about music in general? If so, feel free to tell us about it in the comments below, or drop us a tweet at @thegeekembassy, or me personally at @MarsUller.